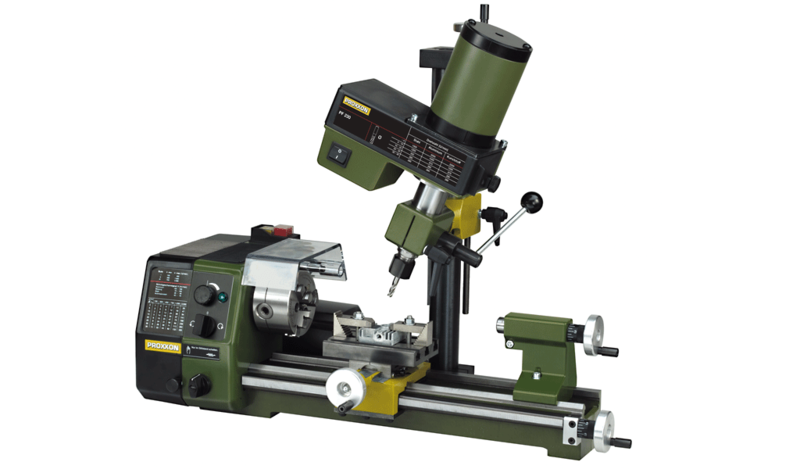 Build a complete machining center with the mill head on your lathe. The Mill/Drill Head PF 230 converts your Lathe PD 250/E into a machining center. 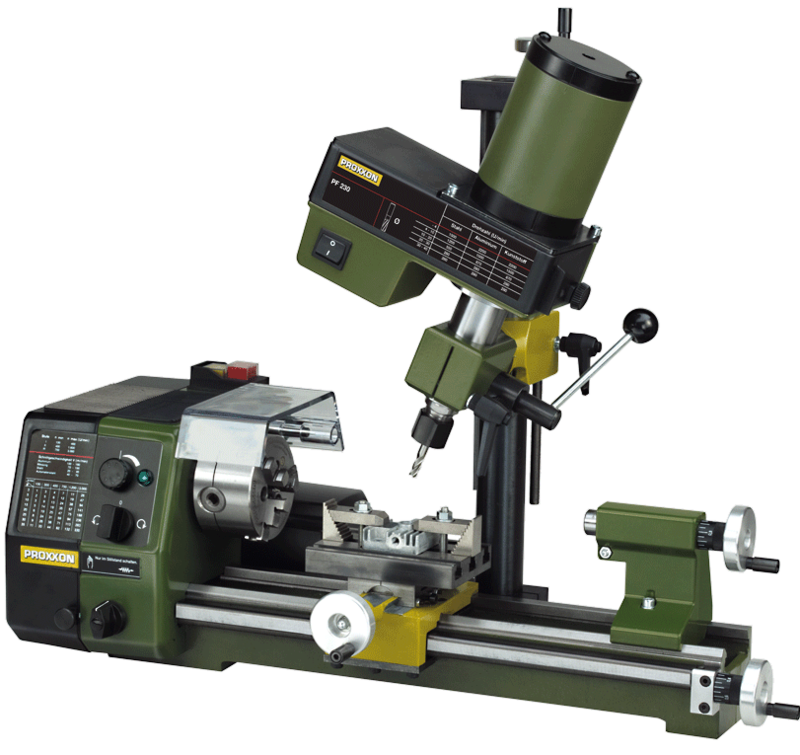 The Mill/Drill Head PF 230 comes with a column size 1 3/8" x 15 3/4" (35 x 400mm) including the necessary mounting bracket and bolts to attach it to the Lathe PD 250/E. 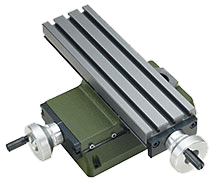 The lathe's top slide is then replaced with the table (supplied with the Mill/Drill Head PF 230). The table has a size of 4 5/16" x 2 3/4" (110 x 70mm) and 3-T slots 15/32" x 15/64" x 15/64" (12 x 6 x 6mm). The lathe now functions as a compound table, with X-Y travel being longitudinal and cross-wise respectively. Three collets of sizes 15/64" - 5/16" and 25/64" (6, 8, 10mm) are included. 110 - 120V, 60Hz, 140W (0.1877hp), speeds 280 - 550 - 870 - 1,200 - 1,500 and 2,200rpm.